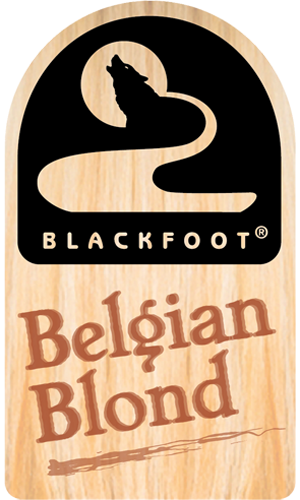 The Blackfoot River Belgian Blond is a bright ale with a light straw-like appearance. The aroma is full of complex yeast esters and subtle hop spiciness primarily consisting of delicate floral, banana-clove and citrus characters. The flavor is smooth with slight pils malt sweetness and a balancing touch of hop bitterness. This beer finishes dry but retains a somewhat creamy mouthfeel.